It’s a shame that when people design their home they don’t give enough attention to the master bedroom. This room is where you will spend much of your time and it deserves to have your personal touch. 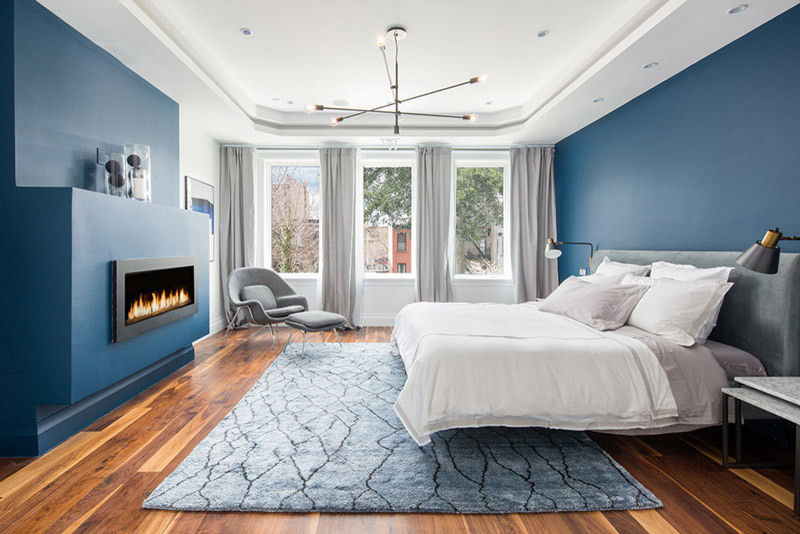 Fortunately, when you design a great master bedroom, you’ll enjoy spending time in there not just sleeping, but decompressing and relaxing as well. Adorable master bedrooms come from making the space feel more intimate. This is achieved by making large rooms seem small thanks to window treatments, paint colors, and a seemingly oversized bed. However, something many people overlook is having a plush, comfortable chair to sink into. This is the perfect way to spend time reading a book or watching television. Combine these elements with personal touches like family photos on the nightstand, and you’ve created a wonderful space to lay your head or kick up your feet. The 20 master bedroom photos below will give you a great starting point your design ambitions. Use them to create the perfect space to take it easy. With a two-way fireplace between master and bathroom, you’ll always feel toasty in the winter in this design. With views to the outside and cozy bedding and flooring inside, this bedroom is sure to please. All the grays come together to make this master feel so decadent. Dark gray headboard, light gray wall and floor, and the print rug brings it home. Lots of white storage and silver accents complete a design you’ll love. The wood in this master feels like you’re away in the woods. Far from camping, though, you have that large comfortable bed with beautiful blue headboard for all the getting away you’ll need. 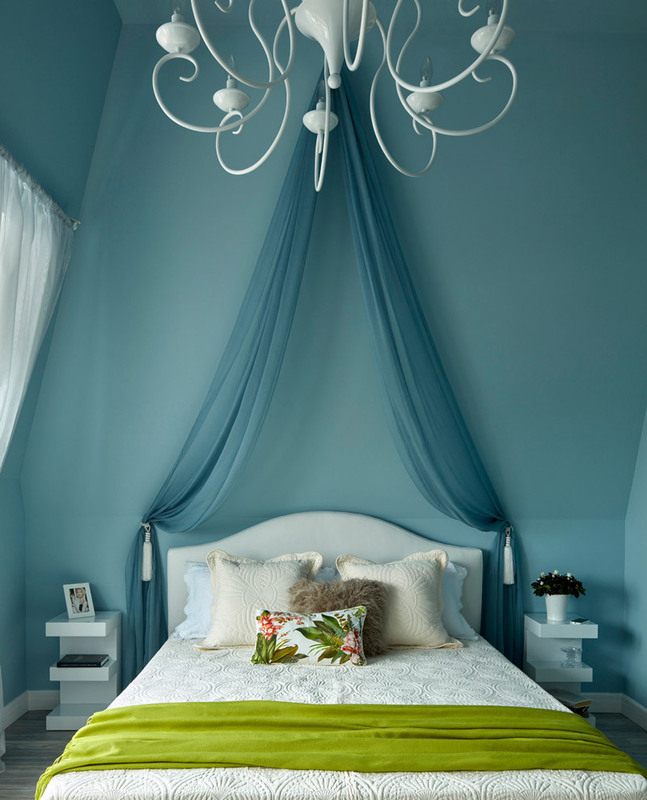 This sheer drape adds a majestic quality to this bedroom. With mile-high ceilings, whimsical light fixture and those cute little nightstands you’ll feel like you’re in a fairy tale. 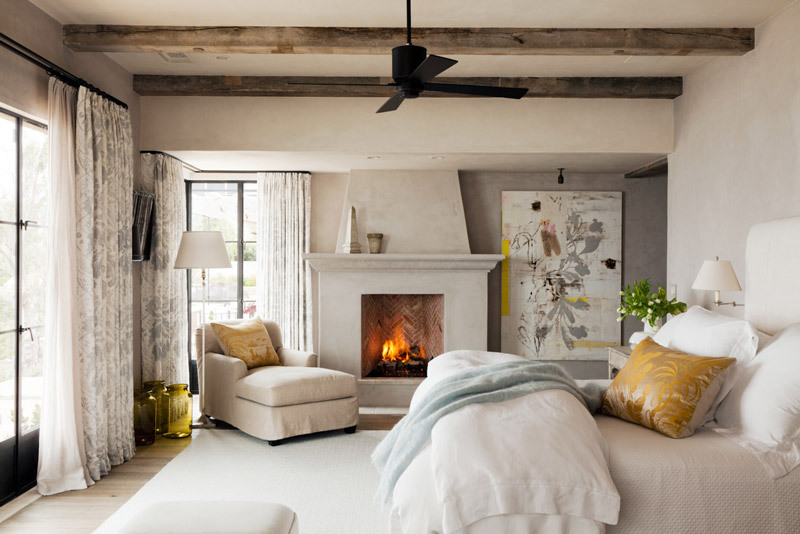 The style and feel of this master are like a cozy adobe bedroom. With the wood beams, fireplace and dark accents, along with the textured rug, it’s a little slice of heaven you’ll love coming home to.